Published on 13 May 2012. 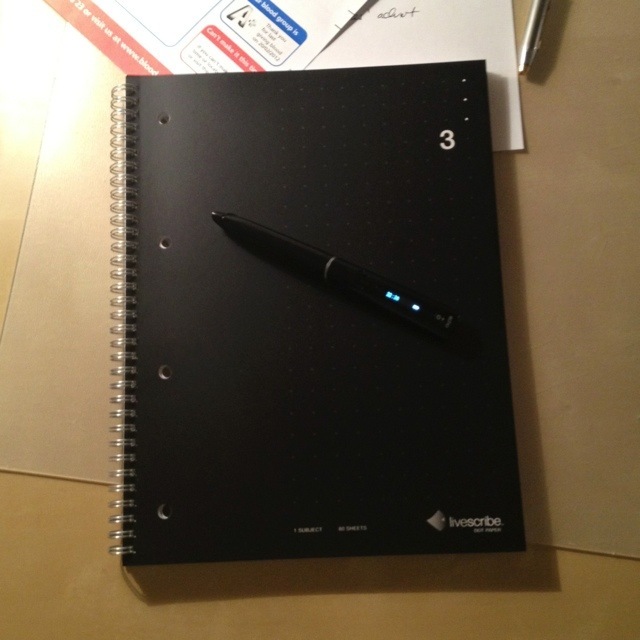 This is my Livescribe pen and current notebook. I use them all the time, and think they’re pretty fantastic. My life revolves around Evernote, and Livescribe means that I can upload everything I write without the hassle of scanning everything in. Evernote also does pretty good OCR on my handwritten notes, making them fully searchable. On occasion, the audio recording function of the pen also comes in handy, especially in complex meetings. Basically, it’s a brill system that I use all the time and highly recommend! This 1,645th post was filed under: Photo-a-day 2012, Technology, Evernote, Livescribe.